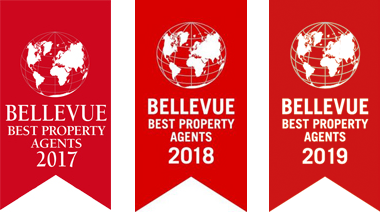 Europe’s largest real estate magazine, Bellevue, has honoured since 2006 real estate service providers from around the world with the Bellevue Best Property Agent Award. When awarding a great value is placed i.a. on professionalism, commitment, experience, objective advice, market knowledge, offer variety and quality and good reputation. 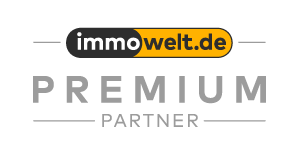 Immovest International Real Estate GmbH has met all the criteria and quality standards in terms of services and can now look forward on the prize, awarded for one year. You can find us in the list of winners among the best brokers in Bavaria. The quality seal enjoys at the present time a very good reputation – both nationally and internationally. One reason for this are the annually recurrent, intensive validations of a seven-member expert panel consisting of editors, lawyers and industry insiders. Also only such brokers are selected by the jury, which they can recommend with good conscience to friends or that they know personally. Only real estate company with continuously high level of performance may again be crowned with the award year after year and use the associated logo in communications with customers. Many real estate companies are aiming for this Signet, since it enhance Prestige by the customer and represents a clear competitive advantage in the acquisition of new objects.